Never get bored in this Multi Sport class! Class features will include a new sport every week, weekly scrimmages, speed drills, endurance training, agility obstacles, balance testing, experienced based learning and play making class. 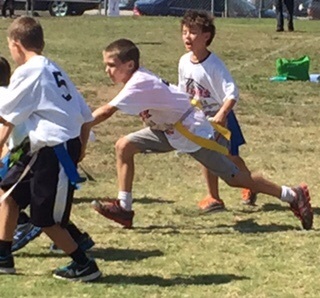 Daily activities to include traditional sports like Flag Football, Basketball, & Soccer. To mix up the fun we'll have Dodgeball, Field Games, Ultimate Frisbee, and more!